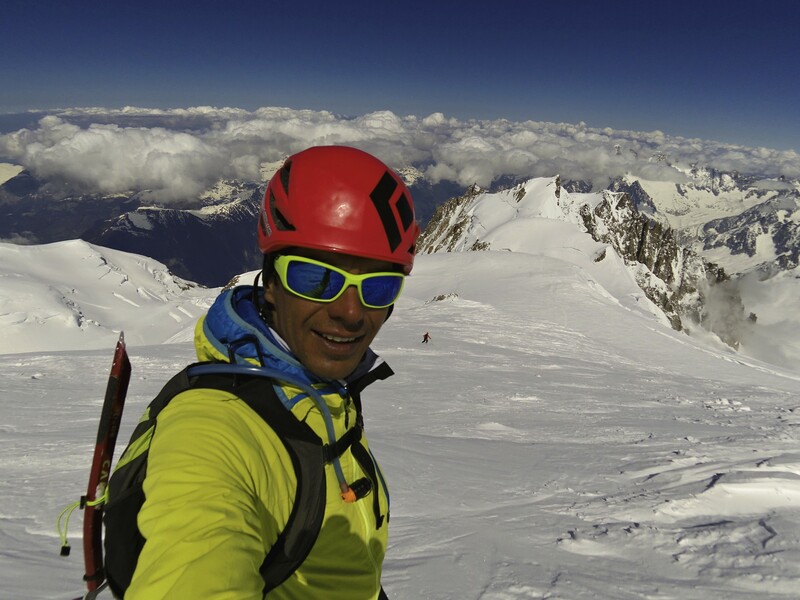 I am a ski mountaineer based in the Pacific Northwest and the Coast Mountains of British Columbia. 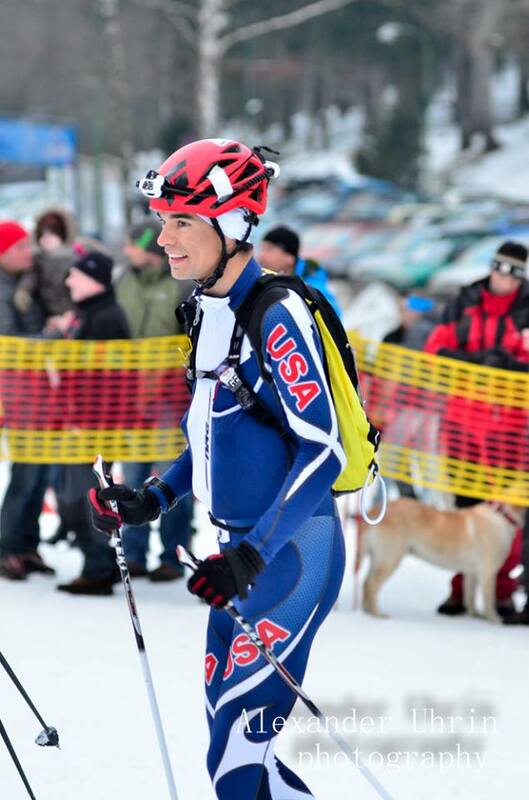 I am a member of the U.S. National Ski Mountaineering Team and competed for the U.S. on the World Cup circuit from 2014 to present as well as competing in the 2015 and 2017 World Championships. 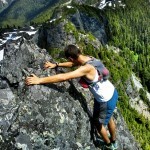 In the off-season, I am an alpinist and mountain runner. Outside of athletics, I am a PhD student and the co-owner of a coaching business for trail and mountain athletes called Ridgeline Athletics. 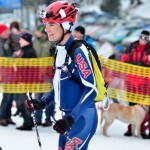 Representing Team USA at the legendary Pierra Menta. Andrea Kuba Photo. The 2019 season will be a World Championship year so that is my primary goal for the next two years. 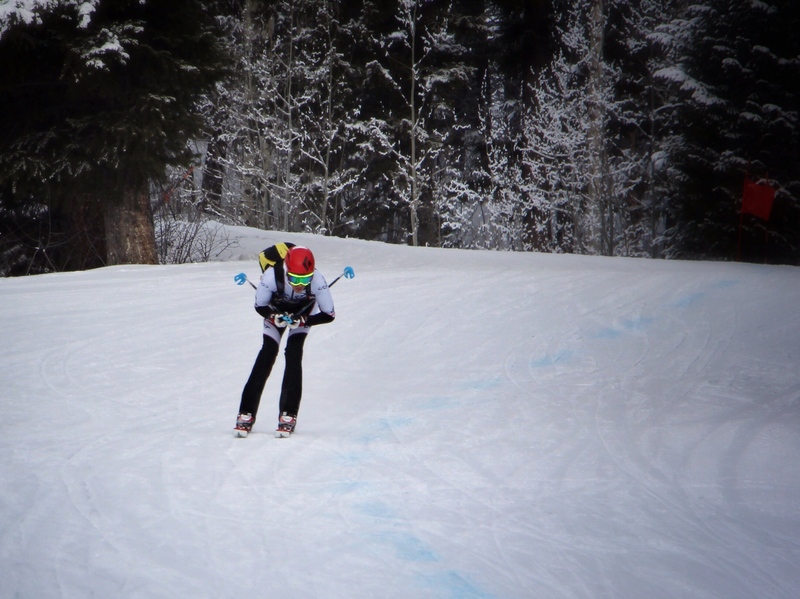 During the ’17-’18 season, I will race in North America on the American and Canadian race circuits including the North American Championships in Lake Louise, AB. 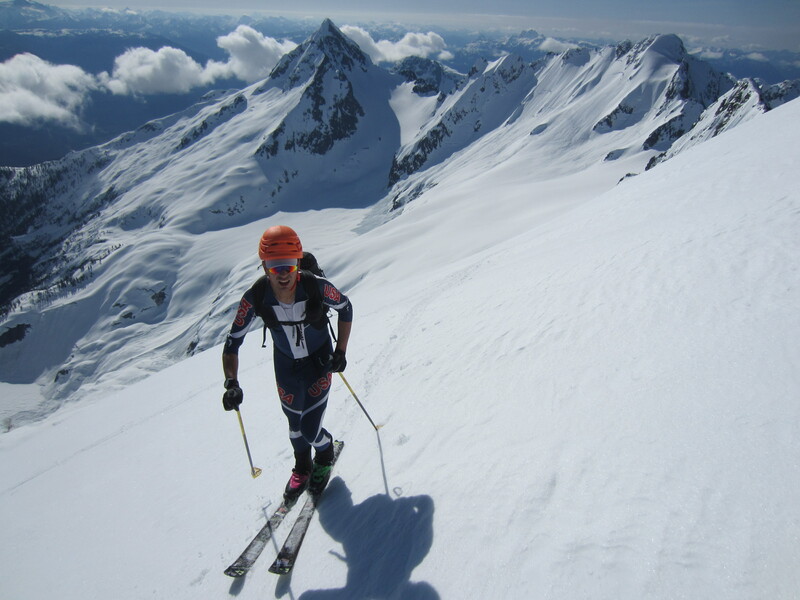 I’m also organizing the only skimo race held in the Coast Mountains of BC at the beginning of March. 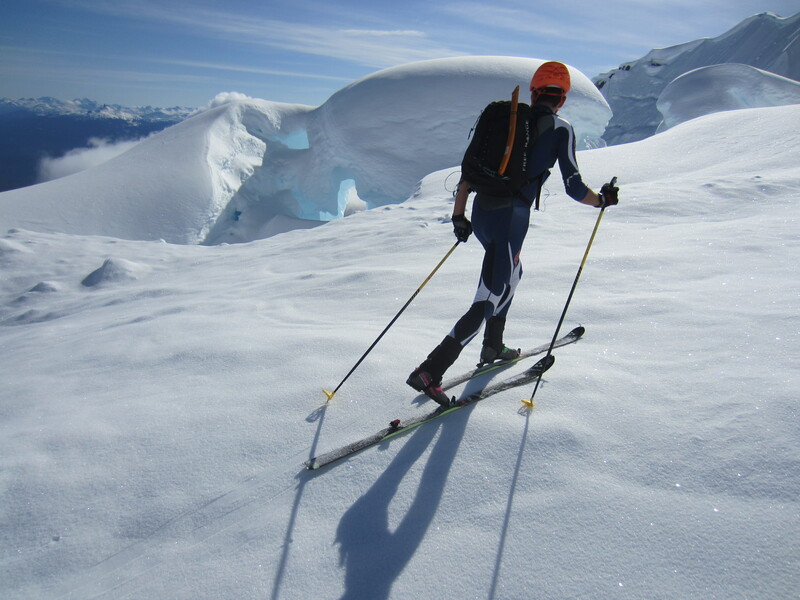 I’m also planning a ski mountaineering expedition to the Waddington Range in April of 2017. 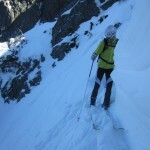 To prepare for this, my winter season focus will be to improve both my steep skiing and my alpine climbing. 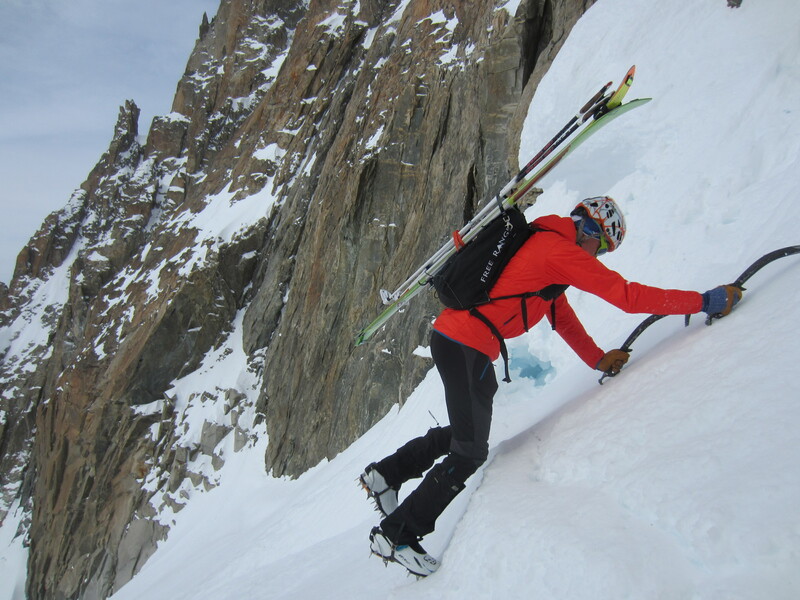 My priority in training will be to improve my downhill ski abilities as much as possible (a weakness that I recognized during previous seasons in Europe) as well as focusing on good race recovery and acclimatization to altitude. 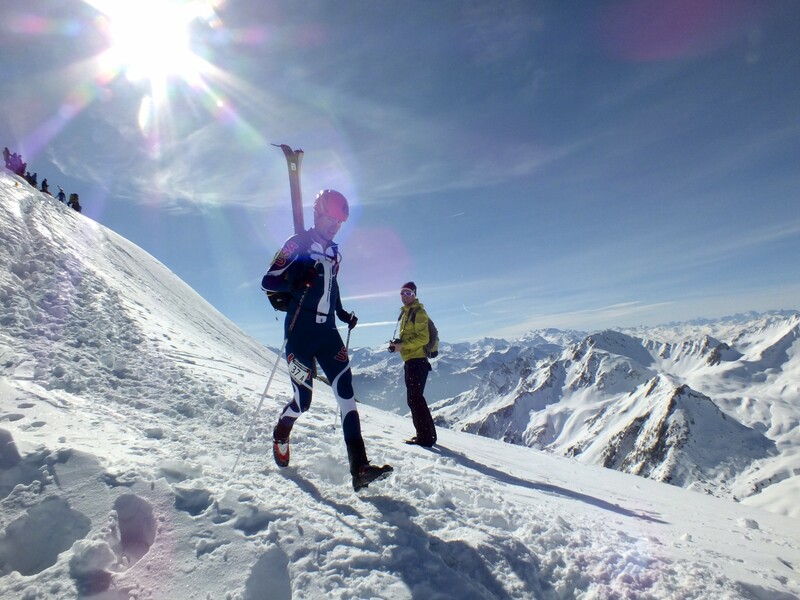 I work with ultra-runner and race organizer Gary Robbins, preparing athletes to achieve their dreams in the mountains through running or ski mountaineering. 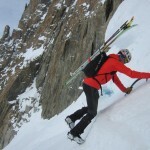 SkinTrack is the larges ski mountaineering race website in North America. I am a regular contributor on training and physiology topics as well as gear reviews and race reports. 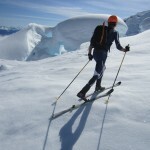 Prospective sponsors can expect significant exposure via SkinTrack to the North American ski mountaineering community. 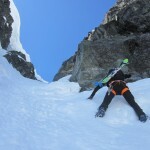 Together with Stano, the owner of SkinTrack, we organize the Fall SMCC Ski Mountaineering Training Camp in Squamish BC. The training camp is intended to mix the elite National Team athletes with those just beginning the sport. 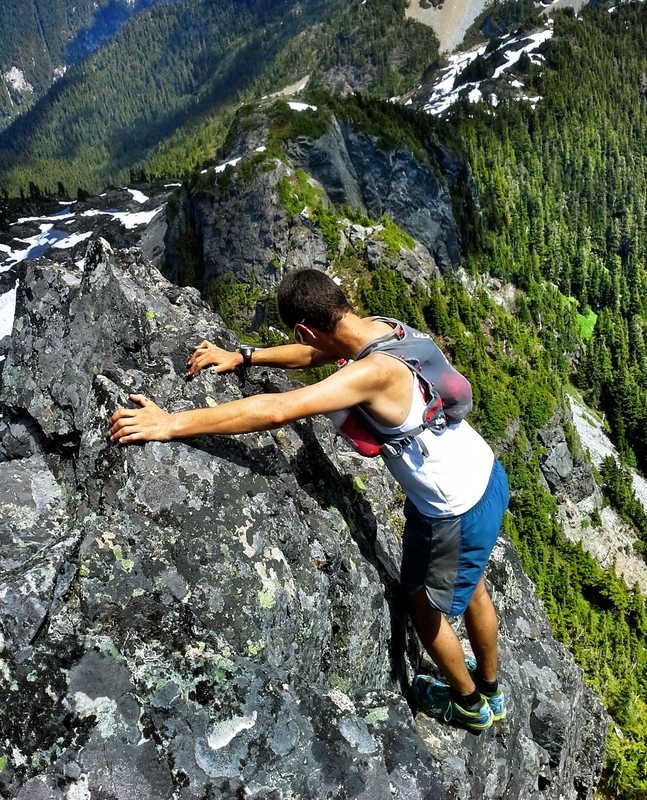 I am currently a PhD Candidate at UBC and am investigating the individual response to altitude exposure and its effect on endurance performance. 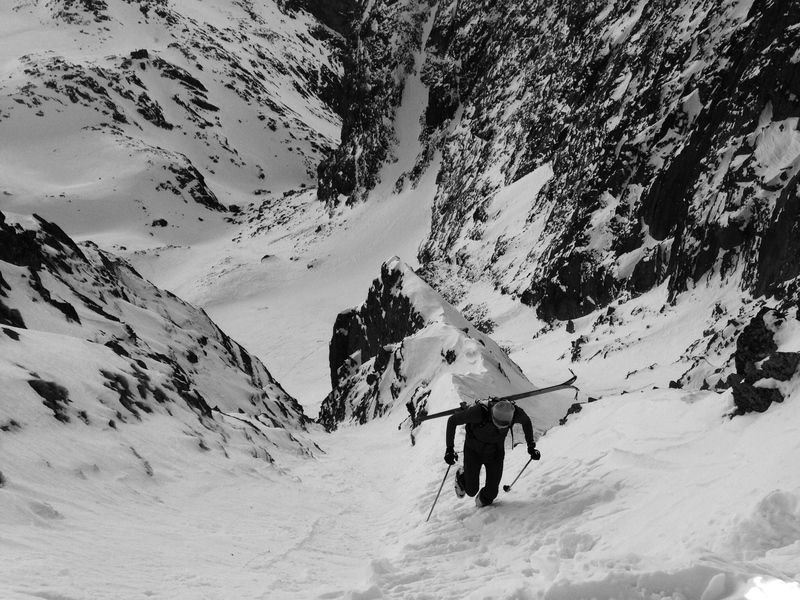 I am also interested the physiological determinants of ski mountaineering and the vertical kilometre. 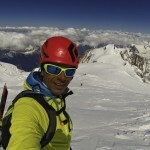 Interview after stage three of the Pierra Menta. Andrea Kuba Photo. Warming up for Malino Brdo. Malino Brdo Photo. 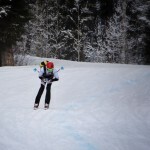 Finishing the Jackson Hole Race. Jeanne Carter Photo. Summit of Mt. 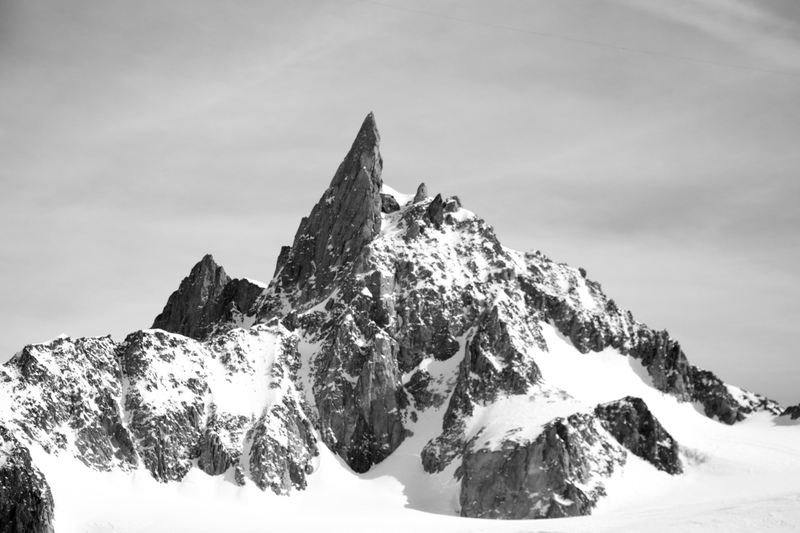 Blanc, Highest peak in the Alps. 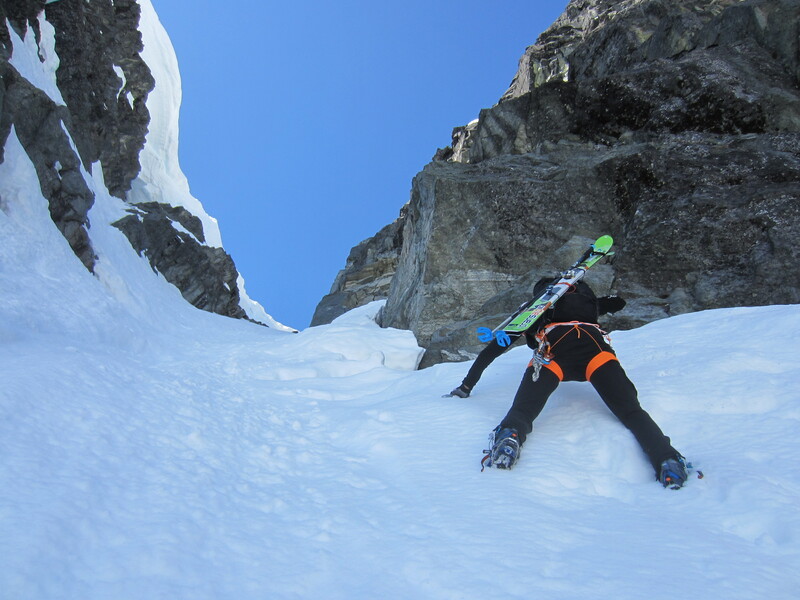 Summer scrambling is one of the best ways to train for ski mountaineering. Nick Elson Photo. 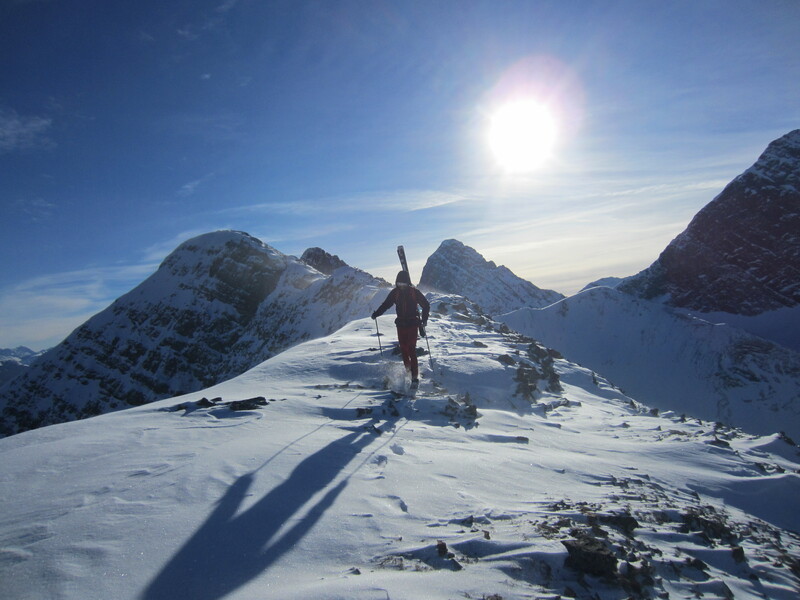 Skiing in the Canadian Rockies. Nick Elson Photo. 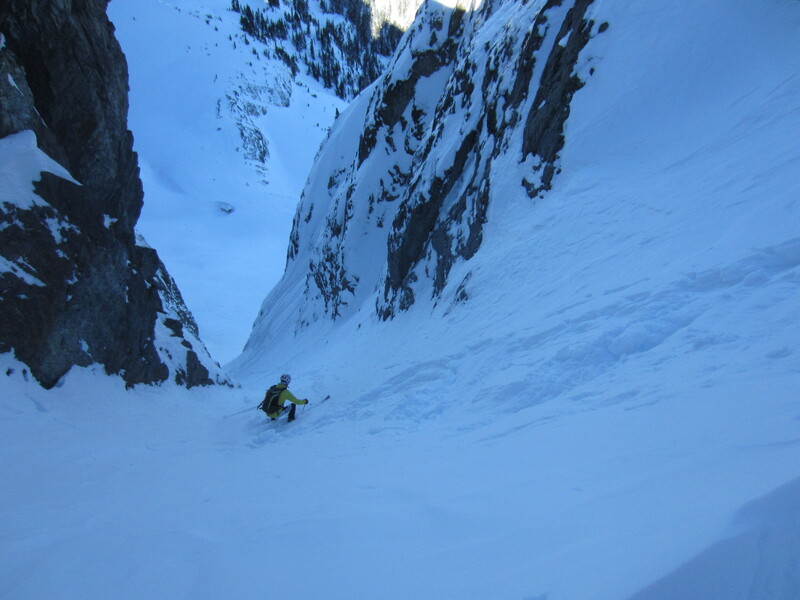 Climbing on the Coleman Headwall on Kushan. Nick Elson Photo. 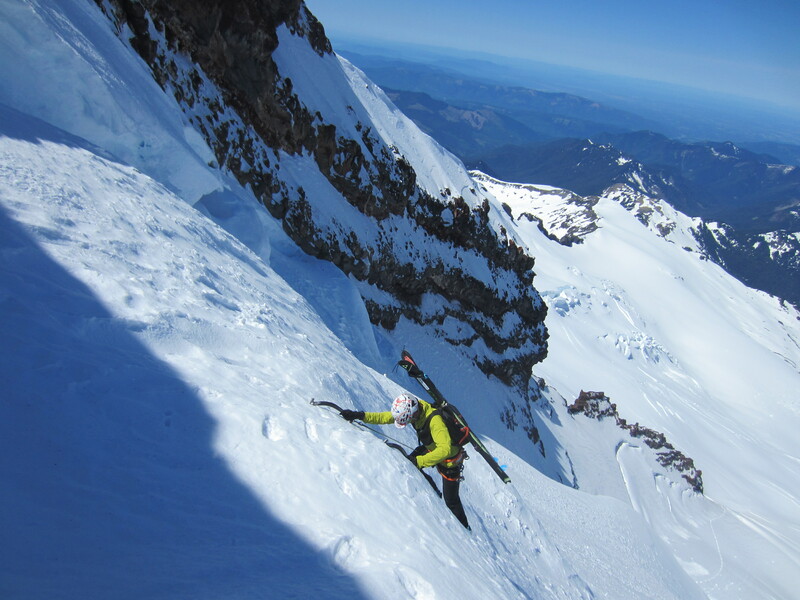 Skiing across the Rumbling Glacier halfway through the Tantalus Traverse FKT. Nick Elson Photo. 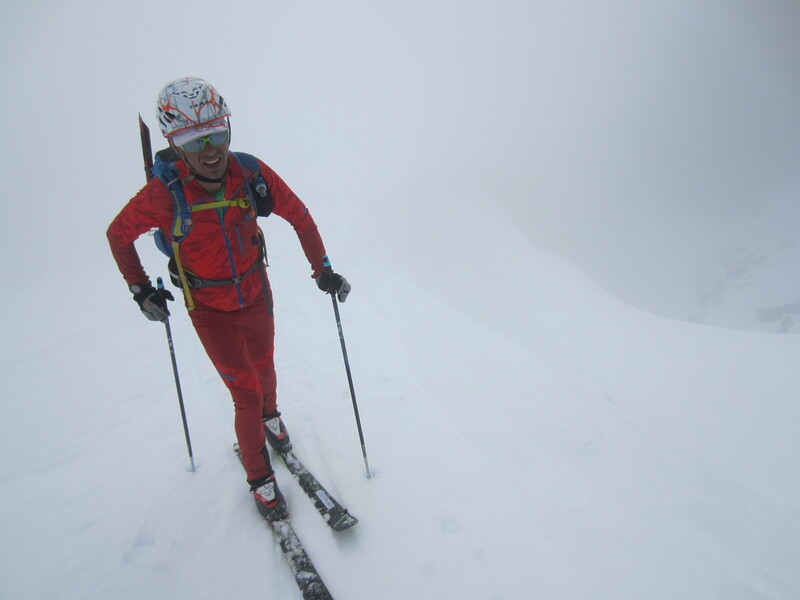 Skiing through the fog during the McBride Traverse FKT. Nick Elson Photo. 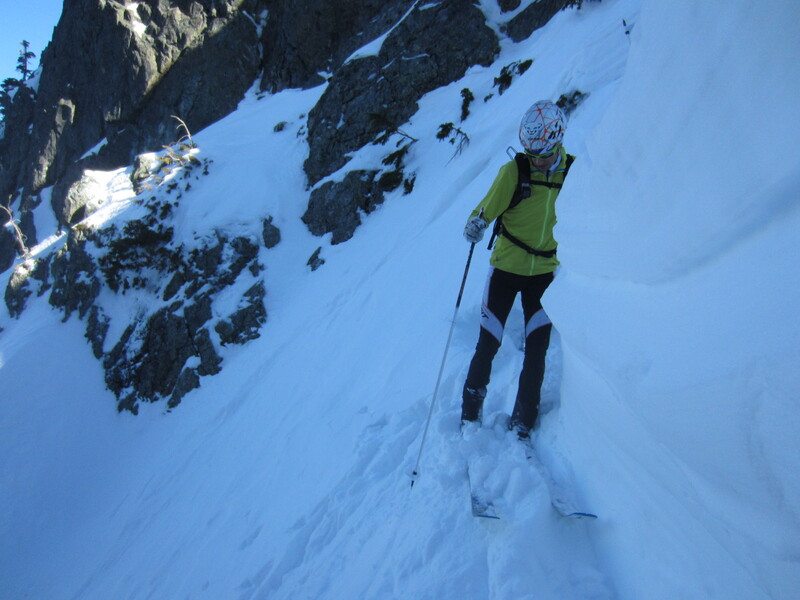 Steep skiing in Squamish. Nick Elson Photo. 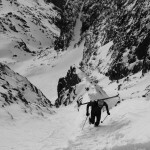 Sky Pilot couloirs. Nick Elson Photo. 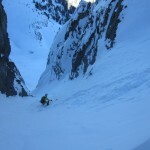 ENSA Couloir, Chamonix. Nick Elson Photo. 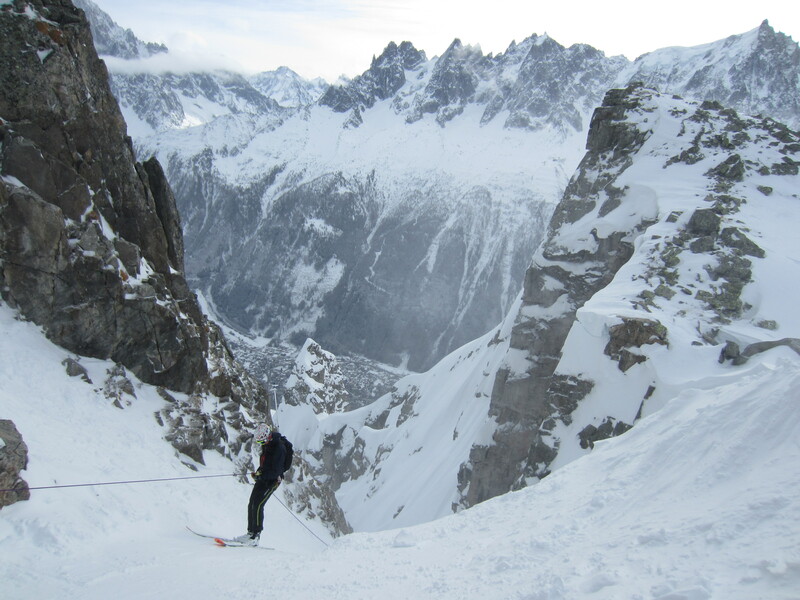 Col du Tour Noir, Chamonix. Nick Elson Photo. 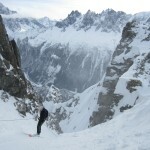 Climbing, Chamonix. Nick Elson Photo.